A big congratulations to the California Association of Marriage and Family Therapy (CAMFT) for working to grant eligible LMFTs employment at the Department of Veteran Affairs (VA)! Discover more about Pacifica's M.A. 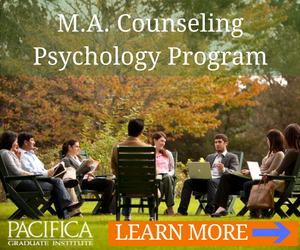 Counseling Program, dedicated to offering students unique and evidenced-based comprehensive training in the art of marriage, family, and individual psychotherapy and professional clinical counseling with an appreciation for the systemic and immeasurable dimensions of the psyche. "President Barack Obama’s signing into law of H.R.2029 - Consolidated Appropriations Act, 2016 is a historic event for Veterans and for the Marriage and Family Therapy community. Pacifica Graduate Institute salutes this executive action, which was championed by CAMFT and will now allow veterans to be served by licensed graduates of accredited programs, such the Counseling Psychology Program at Pacifica. 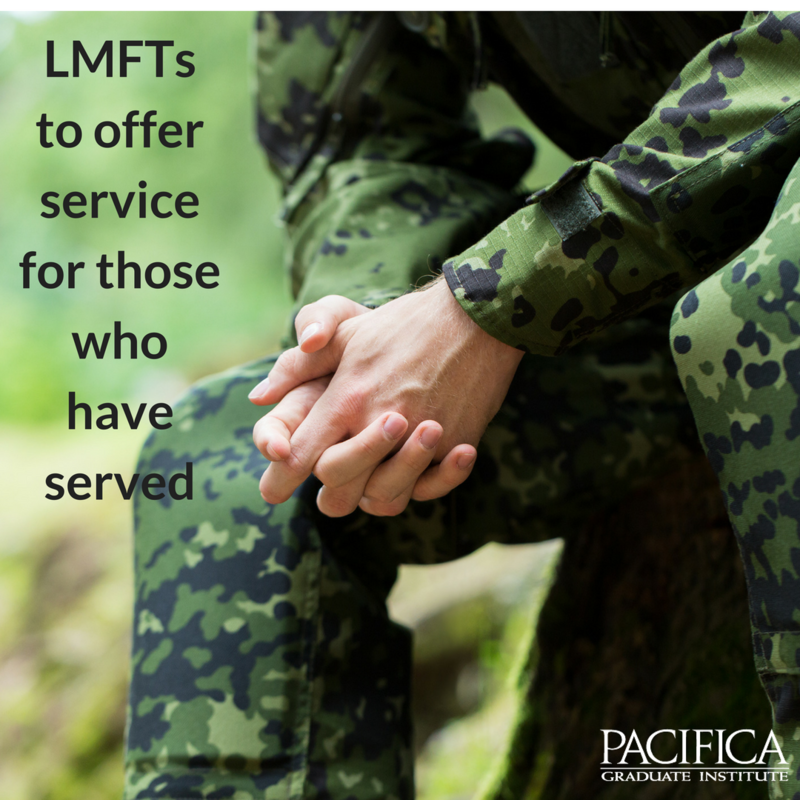 Our veterans deserve the highest quality mental health services and we at Pacifica are proud to be training therapists who can offer and deliver these services." "This has been an exciting week for MFTs. Pacifica’s Counseling Program celebrates the signing into law of two important bills which will greatly impact our alumni and students, who are well poised to provide excellent Marriage and Family therapy and clinical counseling to Veterans, their families through the Veterans Administration and in Federally Qualified Health Centers and Rural Health Clinics. In addition to President Obama signing into Federal law, H.R.2029 - Consolidated Appropriations Act, 2016, permitting all MFTs to be eligible for employment at the Veterans Administration, California Governor Jerry Brown Governor Brown signed AB 1863, a bill sponsored by CAMFT and authored by Assembly member Jim Wood (D-Healdsburg). By adding Marriage and Family Therapists as providers at Federally Qualified Health Centers (FQHC) and Rural Health Clinics (RHC), many Californians will now have greater access to mental health care." As of January 1, 2017, Licensed Marriage and Family Therapists (LMFTs) will be added to the list of prospective payment system (PPS) reimbursable providers to fill vacant behavioral health provider positions at FQHCs and RHCs and help to further primary care integration. Many of the clinics have unfilled behavioral health care positions and they are eager to include LMFTs in their future recruitment efforts. In order for the clinics to be reimbursed for services provided by LMFTs, the clinics must request a change of scope from the California Department of Healthcare Services (DHCS) for each individual clinic providing for the cost of care per clinic patient. Medi-Cal funds these services and is regulated by the Federal Medicaid program provisions. LMFTs look forward to collaborating with the professional teams at the centers. CAMFT will monitor the implementation of this legislation and inform members of further developments. More information can be found on the CAMFT website here.